IBDA MEMBERSHIP - Join Today! 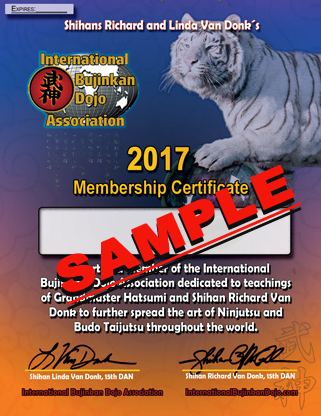 Your International Bujinkan Dojo Association (IBDA) Membership is an annual enrollment and starts the day that you join. 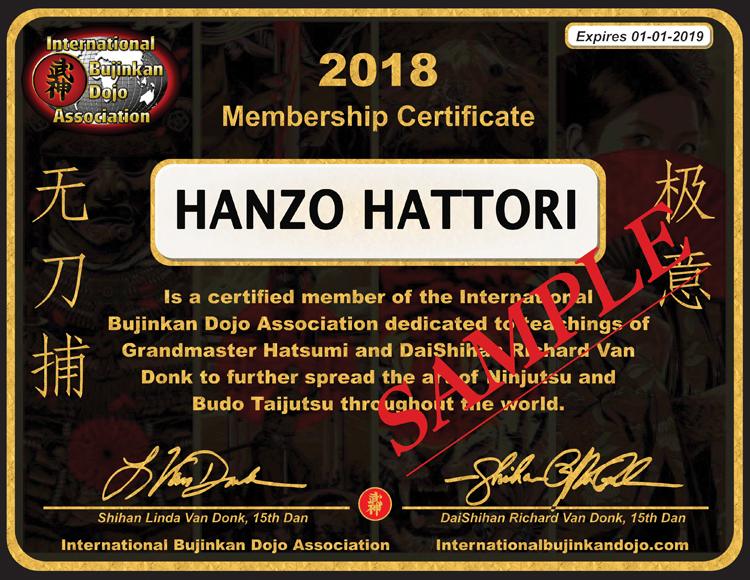 An IBDA Membership is official proof of membership in the Bujinkan. As of Dec 2017, The Japan Hombu is no longer issuing annual membership cards. 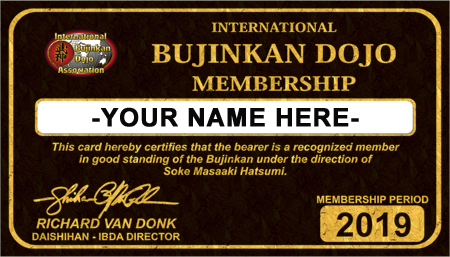 Soke has granted DaiShihan Richard Van Donk the authority to issue official Bujinkan memberships. It is Soke's desire that all Bujinkan students align themselves with a DaiShihan as he is transferring more responsibility over to them now. 3. Allowing you to rank test with IBDA, if you are enrolled in an IBDA dojo or eligible course. 5. Online IBDA Membership Area with lots of information on what IBDA offers. 6. No application is necessary, unless you are rank testing with us. And it only costs $40 a year to belong. NOTE: A current IBDA membership is Required to test with IBDA, in any form. To Join just click the Join Now button below- Your IBDA Membership will not be added to your cart as we have automated the membership and online access for you. When you click the button below you will be directed to a paypal payment page... you can use your credit card there also without a paypal account- Make sure to look for an log in email giving you immediate access into the Online Membership Area where you will find access to the Ninja Vault as well, plus much more information. Being an IBDA Member has never been more exciting. Since 1986 we have been serving the Bujinkan Community.... 30 years later we are still growing. We support all Bujinkan Instructors and Students. All are welcome to get a Bujinkan Membership card with us. Shihan Richard Van Donk has gone to Japan over 50 times to train with Soke Hatsumi and other shihan teachers. He has recieved most every award given by Soke. PRIVATE MEMBERS ONLY WEBSITE - With information about IBDA, testing forms, etc all in one place online. 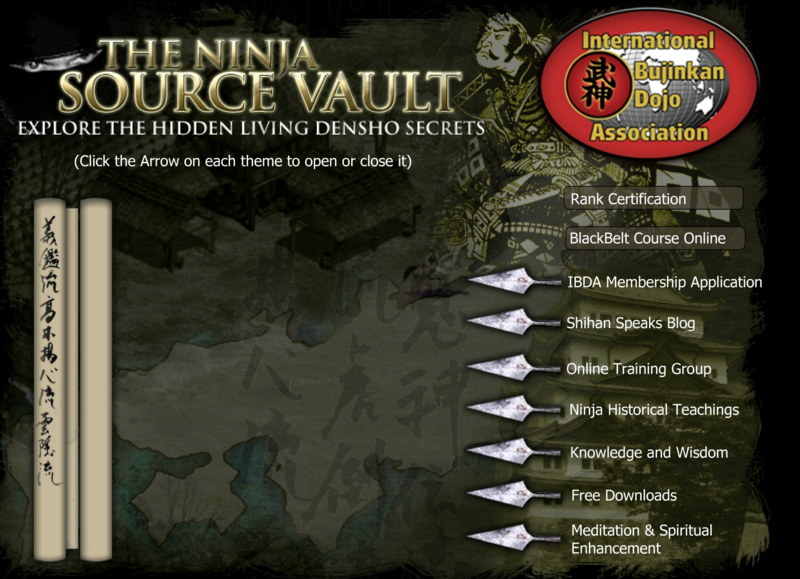 The NINJA VAULT loaded with Articles, Ryu information, History lessons, Newsletters, Wallpapers, Training Tips, Waza lists, Soke lists, Archives, Photos, and much much more! An IBDA Membership Certificate suitable for framing and proudly displaying on your wall. No application is needed, until you test - then we request an application so we can know more about you. You are invited to become a member and share in the teachings even if you do not study directly with us at IBDA. We encourage our worldwide Ninjutsu friends and IBDA practitioners to share with each other everything Ninjutsu offers. Join the effort to build a better community of Ninjutsu martial artists that we can all be proud to be a part of. Always Remember Ninpo Ikkan, the spirit of the Heart is our primary inspiration. For an unknown time we're offering all this for the ridiculously low price of ONLY $40 for the entire year ---- join now before it goes up to a more reasonable price! We have automated it so that you get instant access and your membership stays current at a low price of $40 a year. Do not know why you would want to but you can unsubscribe your membership at anytime. Enjoy the teachings! Proud to keep membership current with this organization - keeps you involved, learning, and teachable. Proud to claim membership to this organization. 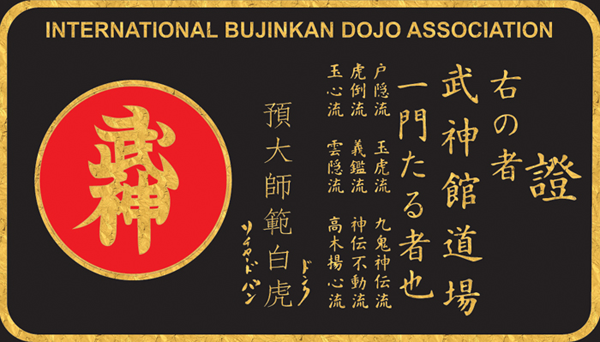 Click the button below to add the MEMBERSHIP IBDA International Bujinkan Dojo Association to your wish list.